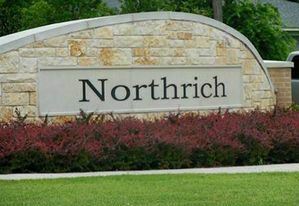 Northrich is a residential neighborhood located in the far northwest portion of Richardson, TX in the 75080 zip code and is south of the Canyon Creek and the University of Texas Dallas. It’s situated between N Floyd Road and Richardson Drive which run north and south and Beltline and Arapaho which run east and west. North Junior High and Northrich Elementary School both reside in this neighborhood and are within walking distance. Northrich has a small park which is located next to the elementary school and a voluntary HOA. Northrich is served by the (RISD) Richardson Independent School District. You can find more information about the schools and neighborhood with the links below.